Relevance of the research. In view of the processes of global warming and the permanent increase in the concentration of CO2 in the atmosphere, the study of the aggregate and temporal concomitance of conditioning carbon dioxide emission from soil factors during the growing season of crops represents an actual scientific problem that has been reflected in the work. The purpose of the research was to determine the peculiarities of CO2 production by the soil of Polissya during crops vegetation and the patterns of influence of causing them factors. The tasks of the research included the systematic monitoring of CO2 emission from the main types of soils with different granulometric composition and hydromorphic feature degree, while simultaneously measuring the main variables that affect them. Methods of the research. The research on the basis of the improved static chamber method was carried out in 2018 on the leveling crops within the territory of the experimental field of Zhytomyr National Agroecological University. The frequency of field measurements was once every seven days, in the period of 9 am. – 4 pm. Measuring the concentration of CO2 was carried out using a gas analyzer Testo-535 with an infrared sensor, providing a threefold repetition. Exposure time was 5 minutes. The camera with the following parameters: d = 0,14 m, H = 0,50 m, V = 0,015386 m2 was installed on the soil free of vegetation and it was dipped to a depth of 3cm. At the time of measurement of the emissions the temperature of air, soil and atmospheric pressure were measured as well. Determination of soil moisture in a layer of 0-10 cm (% volumetric moisture) was carried out by frequency reflectometry method using a moisture meter MST 3000+ with a SMT 100 sensor, providing a six-time repetition of measurements. The laboratory analysis of soil samples was carried out according to generally accepted methods. Research results. The average values ​​2 emission from soils were determined for the period of observations, kg/ha/h: peaty marsh carbonate drained soil - 14.3> chernozem-meadow carbonate pulverized-light-gravel soil - 9.8> light gray podzolized gley sandy soil - 8.9 > gray podzolized gley loamy soil - 8,8> dark gray podzolized glutinous loamy soil - 8,2> sod-medium podzolic gley sandy loam soil - 6,9> sod-medium podzolic gley loamy soil - 6,3. It was revealed that the volumes of CO2 emissions from the soils depend on the type of soil, its characteristics and the complex influence of abiotic factors. It was found out that the basis of the emission activity of the soils of Polissya is the most stable in time factors - granulometric composition (content of fine dust) and carbon content of organic matter. It was found that in the first half of the observation period within the crops growing season (06.05 - 10.06.2018), the amount of CO2 emissions from the most of soils was due to a lack of soil moisture. While in the second half (10.06 - 22.07.2018) the dominant influence on the formation of a carbon dioxide pool was caused by soil temperature, atmospheric pressure and CO2concentration at a height of 0.5 m.
Conclusions. Thus it was established that the coefficients of the pair correlation (r) between the values ​​of the average intensity of the emission in the studied soils and the values of: fine dust (particles 0.005-0.001, mm), carbon of organic matter, alkaline hydrolyzed nitrogen, temperature of the ground surface and humidity, respectively, equal to 0.90 , 0.92, 0.90, -0.93, 0.86. It has been proved that the values of ECO2 in soils is 94.7% due to the joint effect of several factors, including: the content of fine dust (43.7%), carbon content of organic matter (24.0%), humidity (20.0%) and the temperature of the ground surface (7.0%). 1. Larionova, A.A., Rozanova, L.N., Dyomkina, T.S., Evdokimov, I.V., & Blagodatsky, S.A. (2001). Godovaya emissiya CO2 iz seryih lesnyih pochv yuzhnogo Podmoskovya [Annual emission of CO2 from gray forest soils of the southern localities near Moscow]. Pochvovedenie, 1, 72-80. [in Ukrainian]. 2. Romashchenko, M.S., & Tararyko, Yu. O. (Ed.). (2017). Meliorovani agroekosy`stemy`. Ocinka ta racional`ne vy`kory`stannya agroresursnogo potencialu Ukrayiny` zony` zroshennya i osushennya [Reclamaited agro ecosystems. Assessment and rational use of the agrarian resource potential of the irrigation and drainage zone in Ukraine]. Nizhyn. [in Ukrainian]. 3. Trofymenko, P.I., Borysov, F.I. (2006). Sposib vy`znachennya intensy`vnosti emisiyi gaziv z g`runtu [Method of determining the intensity of gases emitted from the soil]. Patent of Ukraine. № 117911. [in Ukrainian]. 4. 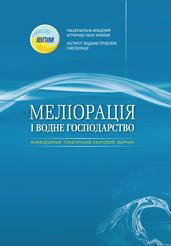 Trofymenko, P.I., Borysov, F.I., & Trofymenko, N.V. (2015). Intensivnost dyihaniya pochv Levoberezhnogo Polesya Ukrainyi v usloviyah agrotsenoza [Intensity of soil respiration of the Left-bank Polesye of Ukraine in conditions of agrocenosis] Pochovedenie i agrochemistry. 2, 56-65. [in Russian]. 5. Trofymenko, P.I., & Borysov, F.I. (2015). Naukove obg`runtuvannya algory`tmu zastosuvannya kamernogo staty`chnogo metodu vy`znachennya intensy`vnosti emisiyi parny`kovy`x gaziv iz g`runtu. Agroximiya i g`runtoznavstvo [Scientific substantiation of the algorithm of the chamber static method for determining the intensity of greenhouse gas emissions from the soil]. Agroximiya i g`runtoznavstvo, 83, 17-24. [in Ukrainian]. 6. Frasiene, D., & Kadziene, G. (2008).The influence of soil organic carbon, moisture and temperature on soil surface CO2 emissions in the 10th year of different tillage-fertilization management. Zemdirbyste-Agriculture, 95, 4 . - Indexed in the following international scientometric databases.